In real life, people read a variety of texts for both information and pleasure. Reading materials differ in content, style and purpose, and we adjust our reading style accordingly. To become efficient readers, we have to train ourselves to read different texts in different ways. For example, we do not read a novel and a textbook in preparation for an examination in the same way. When we are reading a novel, we do not need to pay attention to every detail the way we do when reading a textbook and read more quickly: most speed reading involves a process called chunking. Instead of reading each word, the reader takes words in “chunks,” — that is, groups of words that make a meaningful unit, such as phrases, clauses or even whole sentences. And, as adults, most of our reading is silent. When we read silently, we save the time spent on articulating words, and read in chunks or sense groups instead of one word at a time. In this unit, we will try to help you make your students aware of the various sub-skills and strategies we use to read different texts with efficiency. Reading efficiently, as you have already seen in Units 1 and 2, means adjusting one’s reading speed and style to match the purpose for which we read. This involves reading for an overall idea or gist, specific information and detail, and to understand the writer’s attitude. This unit will give you some information about various sub-skills of reading, and how students can be trained to use these sub-skills to read actively. help your students develop their reading efficiency by modifying their style of reading to suit the purpose for which they are reading. Searching quickly for a specific piece of information or a particular word. For example, when looking up a word in a dictionary, an address in a directory or the flight arrival schedule of a particular flight, we do not read entire pages or passages. We search for the keywords or ideas because we know what we are looking for. Scanning involves moving our eyes quickly down the page seeking specific words and phrases. Reading through a text quickly to get an overall idea of the contents; that is, the gist of the passage. For example, before buying a book we glance quickly at the cover page, the reviewer’s comments on the back cover (also called book jacket), the contents page, etc., to get a general idea of its contents. A special area in the classroom set aside for a collection of non-academic books for children, preferably storybooks for that age group. The activities in this unit should develop students’ efficiency in developing some important sub-skills of reading. It is therefore important to have them work independently, either on their own or by collaborating with their peers. Improving reading efficiency is a matter of practice, and if students can be engaged in meaningful and interesting activities, their skills will develop more quickly. This will then help them read different kinds of texts, and respond to the information provided more efficiently. Elizabeth Roy, a JSS teacher of English and Social Studies, was eager to attend a training course for English teachers in Cape Town. She hoped to learn some ways of helping her Grade 9 students read better. For some reason, her students read their English textbooks with more interest than they read their Social Studies texts. She wondered whether it was because English textbooks had stories and such things about people, while Social Studies talked about facts. When she shared her concerns with the experts, she realised that she was not the only one whose students behaved like this. Other colleagues were facing the same problem. The experts decided to make this a complete session. The next day, they had the participants, including Elizabeth, work on exercises related to the textbooks that they taught. They took Elizabeth and the others through a series of interesting activities that made them read the same texts for different purposes, with varying speeds and with a focus on different aspects of the passage. Elizabeth realised that if she could get her students to actively engage with the text through a variety of activities, they would read other subject texts with the same interest as they read their English textbooks. Elizabeth tried out some of the techniques and exercises she had learned in her class, and found to her pleasant surprise that the students’ interest picked up, and they slowly began to perform better in Social Studies too. She realised that no matter what kind of text we read, if we read actively, we will get the maximum benefit and joy. Is it necessary to teach children how to read different kinds of texts? Do we use the same or different strategies to read different texts? Should we use other subject texts to teach reading, or would the English textbook be enough? In real life, we read a variety of materials in the languages we know (our home language or English, for example). Some materials like course books are read with close attention to detail as we need to use the information in examinations. Other materials, like magazine articles, are read for pleasure. Then there are things like billboards and hoardings that we mostly read with little concentration as we really do not need to use their information in our daily activities. In this activity, we will deal with the sub-skill of skimming, which is used to get an overall idea of the text. To begin the activity, ask the class to list the different types of things they read. They will probably come up with things like textbooks, storybooks, magazines, comics, signboards, letters, postcards, menu cards, labels on things they buy, phone books, instruction manuals (for phones, TVs, cameras, etc. ), subtitles of English movies, maps, encyclopaedias and so on. Now tell them to list these different types of texts and classify them according to the reasons for reading them given in column 2, in the table below. Write the list on the board as the students respond. Brochures, catalogues, hoardings, advertisements, notices, labels, posters, displays at airports, stations, etc. Ask them to look at the list and decide which type of reading materials they read fast, very fast, slowly and very slowly. Bring the discussion around to the fact that we read different texts at different speeds depending on why we are reading. For the main activity, give them the following situation: A friend, Nigel, wants to go on a vacation to the seaside, and he cannot decide where to go. He knows you have some idea, so he has asked for your advice to help him choose a good place. He is in a hurry, so he has asked you to give him an idea as soon as possible. In groups, have the students read about Africa’s best beaches in Resource 1, and help him make a decision. They can look at the pictures of the beaches and read the tourist information before they decide. After they finish the task, ask them to recall how they read the passages: did they read them very slowly, or somewhat quickly? What kind of information did they look for, and how did they decide on a destination? From their answers, try to have them realise that they read about the different beaches somewhat quickly so that they could get an overall idea about them and give the information to Nigel. This skill is called skimming. To test their ability to skim a text for the overall idea or gist of a passage, ask them, in their groups, to read the summaries of the beaches given below, and match them to the descriptions of the African beaches given in Resource 1. World-class surfing, Billabong Pro competition, amazing beaches along the South African coast. White beaches, hospitable people, old fishing villages, modern resorts, north-end beaches a must-see. Breath-taking beaches around the Nile Delta; ideal spot for diving; near the Pyramids. Fabulous beaches, relaxation, gentle surf, sea, sky. remembering keywords (diving, surfing, relaxation, breath-taking beaches, hospitable) only, and not every detail. Before ending the discussion, ask them to again list the kinds of texts they skim for gist. Then ask them to collect a few of those to practise in the next class. For more ways of practising skimming, see Resource 2. Another important sub-skill of reading that all efficient readers use as a strategy is called scanning, or looking for specific information. To demonstrate the use of this sub-skill, have the students work in pairs and say which kinds of texts given in the list below they read very quickly, and why. During the feedback have the students recognise that we read such texts to find some specific information, and not to understand or remember every bit of information given there. We quickly scroll down a page to locate the particular thing we are looking for (e.g., a telephone number, train departure time, cricket score). Scanning is a very important reading skill that is frequently used for real-life purposes. Now give the students an activity to practise the skill of scanning. Divide them into pairs then give each pair an English newspaper. You should use different newspapers so that each pair has fresh information to share with the rest of the class. Each pair should quickly scan their pages and find answers to the list of questions below. You can add to the list depending on the design of newspapers in your home town. Remember that this is a scanning task, so do not let the students spend too much time on it. Look at the top front half of the newspaper. List three main types of information all newspapers must have. Which item on the front top half of your newspaper is in bold and in the largest font size? Note down at least one international headline on the front top half of your newspaper. Does the front page carry any advertisements? What product is being advertised? Which page covers the business news? What is the most important piece of news there? Flip through the pages of your newspaper and find out which topics/ areas take more than one page. Which page carries the editorial? Is there more than one editorial? Are there any pages especially for children? What are the headlines? After the students finish, have them think of what strategies they used to find out the information quickly. Elicit points like they read only letters in bold print, they skipped all the smaller columns, their eyes moved very quickly over the page, stopping only when they got the specific information they required, and so on. You can have them practise scanning information in the lessons you teach every day — making them locate a particular sentence on a page, a page number of something, the meaning of a word given after the lesson, the number of questions following the lesson, etc. All these everyday activities help students develop their scanning skills. The texts we read do not all deal with their topic in the same style, and do not all present information in a uniform, step-by-step manner. An efficient reader is one who can recognise the style of paragraphs in a prose text and know whether it deals with a main idea, a supporting detail, illustrations, a detour or digression. Such a reader then knows which part needs to be read with more attention to detail, and which part needs less concentration. This is not to suggest that efficient readers are careless people who do not read a passage thoroughly — it merely means that they can vary their reading speed and comprehension according to the purpose for which they are reading. In this activity, you will be able to help your students understand how to recognise whether a paragraph is dealing with main or subordinate points, examples or digressions (that is, things that are not directly related to the topic). One way in which this is done is by noticing the use of special phrases that give us the necessary clue. Unlike my friend Samuel, I enjoy coming to school. Regular school attendance is very important for the development of knowledge. For example, we not only get to learn from our teachers, we get a chance to chat with our friends and share jokes. My cousin has a good store of jokes. Unlike my friend Samuel, I enjoy coming to school. For example, we not only get to learn from our teachers, we get a chance to chat with our friends and share jokes. My cousin has a good store of jokes. Regular school attendance is very important for the development of knowledge. Draw the students’ attention to the fact that passages usually have a mixture of all these types of sentences or paragraphs, and so we must recognise which ones are important to remember. These need to be read more slowly and carefully, while a lot of time need not be spent on the less important sections. Sum up by introducing the terms Main Idea, Subordinate Idea (related idea), Illustration (example) and Digression (unrelated idea). For more practice, give your students the exercises in Resource 3. You could also bring to the class interesting passages from storybooks, newspapers or magazines and have them identify the four categories. To make them test their reading speed and comprehension, ask them to time themselves and read the passages on their own the first time. Then, working with a partner, ask them to identify the main and subordinate ideas, illustrations and digressions, and then read the passage again. This time, they should improve in both speed and understanding. In this unit you learned how to improve your students’ reading speed, developing flexibility in reading by learning how to skim for gist and scan for particular information. The unit also tried to show how to understand text structure by recognising the different ways in which information is presented in texts. When students learn to distinguish between main points and subordinate ideas, identify illustrations and recognise digressions in a reading passage, their comprehension and speed will improve, and they will be able to read with efficiency. Students must keep practising these skills, because they make us efficient readers through life and help us read a variety of texts with ease and understanding. These skills can also be transferred across subjects and used for reading non-academic texts too. Has the unit introduced technical terms like skimming and scanning adequately? Do you think newspapers are a good learning resource? Could other reading comprehension activities be done by using newspapers? What other kinds of texts can you use to show students how to identify main and subordinate ideas in a text? Identify two passages that can each be used for practising both skimming and scanning skills. Think of two activities that will test your students’ ability to skim and scan. How can we identify main and supporting ideas in a passage? Read a text and note at least two expressions that helped you identify a main idea and a subordinate point. Egypt – The Nile Delta (near Alexandria and the Red Sea) has some breath-taking beaches. The Red Sea area is the ideal spot for both diving and indulging in tourist activities like visiting the Pyramids and enjoying the local culture. South Africa – Although the South African coast is home to some amazing beaches, Jeffreys Bay (known as J’Bay) is the place to go for world-class surfing. Time your visit to coincide with the annual Billabong Pro competition. Mauritius – Mauritius is an example of how top beaches are often found on small islands. Pereybere, Flic en Flac, and Ile aux Cerfs all have fabulous beaches where you can relax — thanks to the sound of the surf, the beautiful sky and sand. Zanzibar – This “spice island” near East Africa has amazing white beaches, traditional fishing village, upscale resorts — and friendly locals. Seek out beaches at the north end of the island. Once you are sure your students understand the purpose of skimming for an overall idea, you can give them a task centring on the class book corner. Ask each student to pick up a book they have not read before. When you say “Go,” they should quickly skim through the book for a general understanding of what it is about. Give them five minutes to do this. They should flip through the book, read the title, contents page, introductory paragraphs and summary or last page. No one makes notes. After the five minutes are over, tell them to stop. Now ask each student to tell a partner what he or she thinks the book is about. This should take no more than three minutes. Then the other partner does the same. The students can refer to the books they skimmed through while they talk. You can repeat this exercise several times during your English class. For example, before starting a new unit or lesson, give your students two or three minutes to skim through the lesson and tell the class what they think it is about. After the lesson, decide whether the predictions were correct and to what extent. Allow the students to talk about the strategies they used. This will alert others about the need to read actively. Look at the picture: What fish is it? What do you know about this fish? Have you ever seen such a fish? Here is a short paragraph on this fish, but the sentences are not arranged in the proper order. Your task is to arrange the sentences correctly and number the sentences: Write 1 over the most important sentence, 2 over a supporting detail or subordinate idea, 3 over an illustration and 4 over any unrelated idea. My uncle says that sharks have a bad reputation just because people think that all sharks are killers. I haven’t taken a seaside holiday for the last three years. 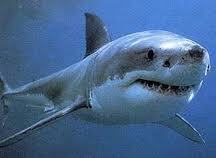 The largest sharks like the whale shark and the basking shark are not killers. There are, of course, several other types of sharks that use their rows of sharp teeth to tear apart everything, including human beings! But the next time you see a shark, try not to be scared. Even if you fall into the water, it may not attack you. Does your family rear cattle? What kinds of products do we get from cattle? Here is a passage on livestock farming in Kenya. The paragraphs are all numbered. Discuss them with a partner, and say which paragraphs deal with main ideas, subordinate ideas, illustrations and digressions. Beef farming is the rearing of cattle for meat production whereas dairy farming is the rearing of cattle for milk production. Kenya has a cattle population of about 10 million herds. Beef farming is widespread in Kenya but more common in drier parts of the rift valley: North-Eastern, Eastern and Nyanza. About 90 per cent of beef cattle in Kenya are kept by subsistence farmers and pastoralists. There are cattle ranches in Laikipia, Trans-Nzoia, Malindi, Molo, and Kajiando. 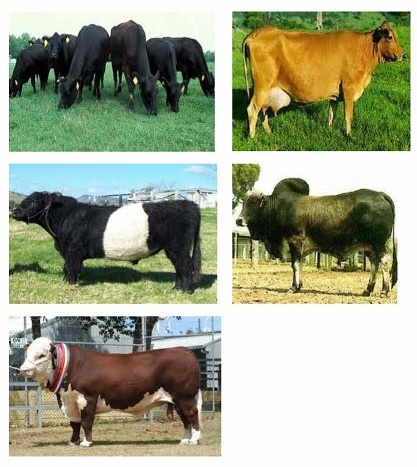 Examples of breeds are Zebu and Boran; crossbreeds include Hereford, Aberdeen Angus and Galloway. Beef is consumed countrywide. Canning and freezing are done in Nairobi, Thika and Nakuru. The following are the most common dairy breeds in Kenya. Friesian: White and black in colour. The forehead and the feet are usually white. Ayrshire: White and red in colour. Jersey: Brown in colour and the smallest of the four breeds. Guernsey: Brown in colour. Some are white on their lower abdomen. Question: How do I help students transfer the sub-skills they have learned here to help them read material on other subjects efficiently? Answer: You can encourage your students to apply their new skills to other subjects by having them bring passages from other subject textbooks to the class. Encourage them to bring to the class passages or texts that they have been finding difficult to understand or remember. Engage them in peer activities like reading the text quickly for an overall idea, and then working together to locate the main ideas and illustrations. You can even ask one pair to read the text in detail and make up a set of scanning questions to ask another pair, and so on. This will ensure that everyone reads the texts actively, and learns to use their sub-skills efficiently.